The eighth and final season of the Game of Thrones is on! Of course, everyone noticed it, since you can see Westeros heroes literally everywhere. You can profit from the GoT buzz. And I'm not talking about a one-time gig, you can use the final battle between ice and fire to create a revenue stream for years to come! We made sure you won't miss this opportunity to make more money. That's why we created a new set of Game of Coins banners that are available in the Unilink Affiliate Marketing dashboard. Use them at will. The marketing trick is called "news hijacking", and it's a very smart way to promote your product. Here's how it works - you take a popular event, just like the final season of GoT and you create your brand's own story using the popular plot. Recently SimpleFX WebTrader won another award for the best trading app during the Finance World Expo Summit that took place in March in Switzerland. 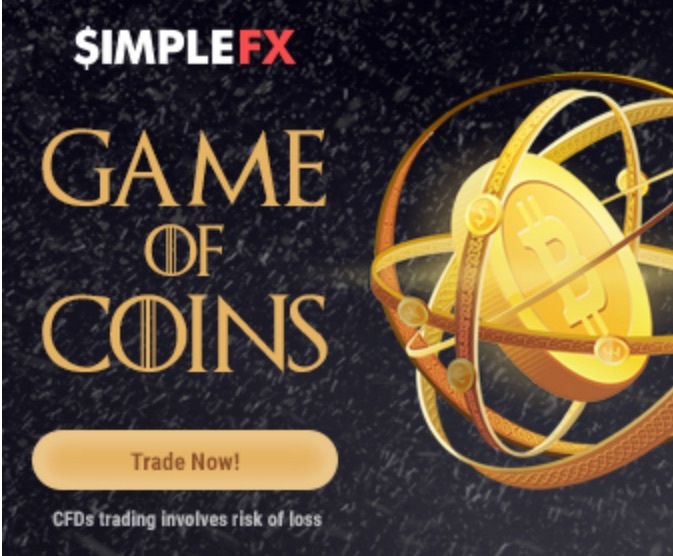 The experts appreciated SimpleFX WebTrader for great usability on mobile devices, remarkable speed, and reliability, responding to the user needs with new features and the strong and growing community of users. Most of them registered thanks to the affiliate program, so it really works. With over 200,000 traders using our app globally SimpleFX is an ideal affiliate marketing vehicle. You don't have to be a trader to set up your affiliate network. All you have to do is grab your referral link and share it among the people you know. The of the HBO blockbuster is unprecedented. Use the hype around GoT to promote your affiliate network. We've prepared a new set of captivating banners, especially for the occasion. You can invent your own comparisons of the news about crypto, forex or stock and spread them using the new what's going to be a huge thing over the weeks the final season is aired. The Unilink and SimpleFX integration are all about making it as easy as possible. 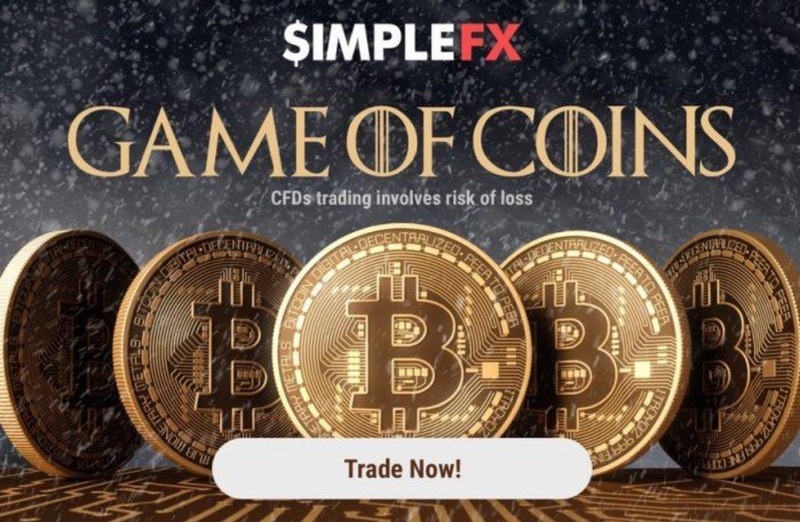 First, register your account via simplefx.com or unilink.io. When logged into SimpleFX WebTrader, click the ☰ button to use the slide-in menu. Then choose "Refer friends" to go to your Unilink dashboard. For every new SimpleFX account registered after clicking on your banner, you will get an up to 25% lifetime revenue share. This works for the spread on every transaction ever made from this account! In the Unilink dashboards go to "Campaigns" section of the side menu, and then create a "NEW CAMPAIGN". Let's call it "Game of Coins 1". Choose "ADD BANNER" from the share campaign options. Click the "filter" icon and type in "Game of Coins". Choose one of the designs and quickly adjust them to your website. Choose Your banner's language, the banner size, and copy the HTML code to the clipboard. If you have any problems, read our detailedstep by step guide. The final season finale is to be aired on May 19th. Use the next month to promote as many "Game of Coins" jokes, memes, comparisons as possible. It's a globally interconnected world, where one good social media post can make you a fortune. You can also spread the message in every thread discussing what happened in the last episode of "Game of Thrones" and what will happen next. Good luck with your "Game of Coins" campaign! This article was submitted by SimpleFX.